Russ Caswell was the owner of Motel Caswell for over two decades. His father built the motel in 1955, and it was family-owned and ran for over 50 years. Since taking over Motel Caswell in 1984, Russ strove to make it an affordable and safe place to stay. He installed cameras created a “do-not-rent” list and kept the property well lit. He always cooperated with the police and even gave them free rooms to hold stakeouts when criminals were believed to be on the premises. This all changed in September of 2009 when federal agents swarmed in to take his motel. Russ was a victim of civil asset forfeiture, an area of law that allows law enforcement to seize your property without convicting, or even charging, you of a crime. Russ had never been charged with a crime and nobody in his family or any of his employees had been involved in a crime at the motel. Over the course of his ownership he had rented out 125,000 rooms and there had only been 15 arrests at his motel during that time, less than one a year. Based on this, the government seized his family business, his livelihood and what he built his life around. Russ was actually one of the lucky ones in that the Institute for Justice offered to take up his case pro bono. He eventually won his case in January 2013 but he spent over 3 years of his life fighting a battle that never should have happened. The Senate Judiciary Committee and its Chairman Chuck Grassley held a hearing Wednesday to address the need to reform civil asset forfeiture at the federal level. There is bipartisan and bicameral agreement that what happened to Russ Caswell should not happen to other Americans. The FAIR Act, sponsored by Senator Rand Paul, has already been introduced in both the House and Senate. 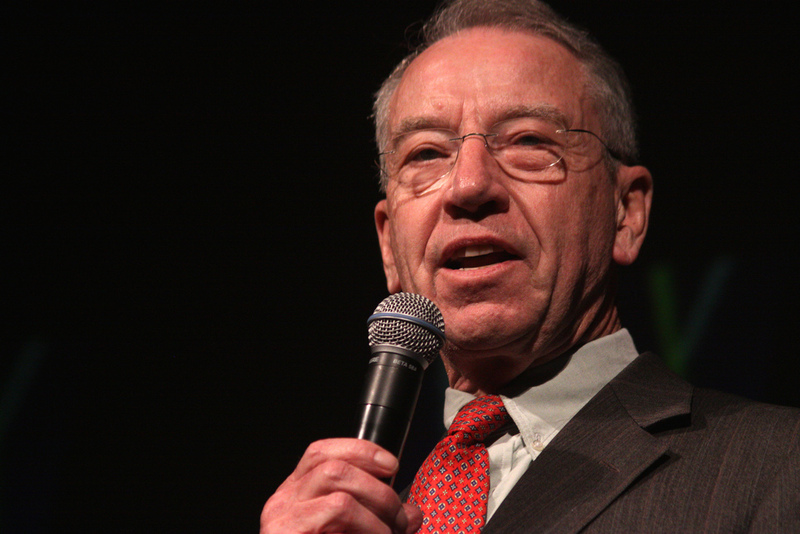 Chairman Grassley is expected to introduce his own civil asset forfeiture bill in the upcoming weeks. Not everyone was convinced of the need to reform civil asset forfeiture. Senator Sessions was concerned that raising the burden of proof would make it too difficult seize funds obtained through illegal means. He was concerned that reforms would hamper law enforcement and give too much protection to individuals that had their property seized. Senator Sessions also questioned the need to reform civil asset forfeiture when as much as 95% of individuals may not even oppose their seizures because their funds were gained illegally. However, Senator Flake made a great point when he said that maybe 95% are guilty, but we still have to protect the remaining 5% like Russ Caswell and other innocent people whose due process and property rights have been assaulted by civil asset forfeiture. I am a former police officer. I believe it is outrageous, and Un-Constitutional for law enforcement to seize someone's property, before an arrest and conviction. If they are arrested...then put a lien on the property...not seize it. If they are found not guilty..remove the lien. Sessions is talking like a moron. In the first place maybe 95% of those who have assets seized do not have the money to fight the seizure because THEY DON'T HAVE ANY ASSETS LEFT TO FIGHT WITH. Even if 95% are actually guilty, the 5% that aren't have had their assets seized and they can't fight to get them back either. According to sessions way of thinking it is ok if 5% of those executed are actually innocent of the crime they were wrongfully convicted of. After all 95% of those executed were guilty after all. Sessions logic is that of a chimpanzee. What hasn't been addressed is this: Once they have seized all of your assets, how can you afford to hire a lawyer to defend yourself?